The first of its kind, a global study measuring how invasive species eradication benefits biodiversity was published in the journal Proceedings of the National Academy of Sciences and recently covered by Newsweek. 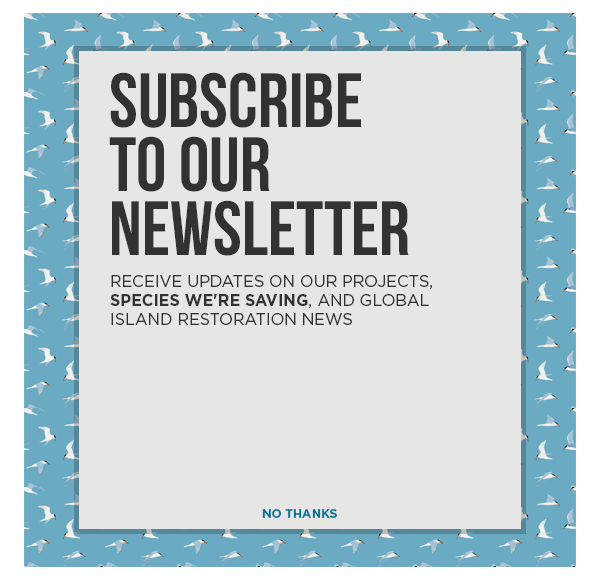 A team of thirty scientists, including Nick Holmes, Director of Science at Island Conservation, found that “596 populations of 236 native species on 181 islands benefited from 251 eradications.” The results are promising for the future of conservation and biodiversity. Takahe. Photo: Holly Jones. Five populations of the world’s largest rail, the Takahe, benefited from mammal removal in New Zealand. The study indicates that invasive species eradication offers major potential conservation gains at relatively low financial investment. Eradication is a successful conservation strategy because it does more than alleviate the threats posed by invasive species–it eliminates them entirely. Once an island is free of invasive species, its native wildlife can thrive.